"Like A River" by Jahnavi Harrison - Music Video ~ The Toronto Hare Krishna Temple! 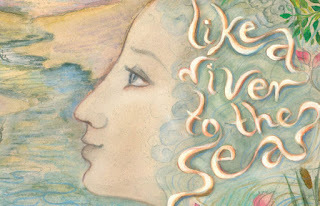 Like a River is the title track from the debut album of Jahnavi Harrison, 'Like a River to the Sea', released on July 24th 2015. The track features a refrain from the Govinda Damodara Stotram by medieval saint-poet, Srila Bilvamangala Thakur and is a meditation on protecting sacred environments internally and externally. Written, composed and arranged by Jahnavi Harrison and Gauravani Buchwald.